France is much more than just Paris! This movie is easily the best French film that has come out in the last years. 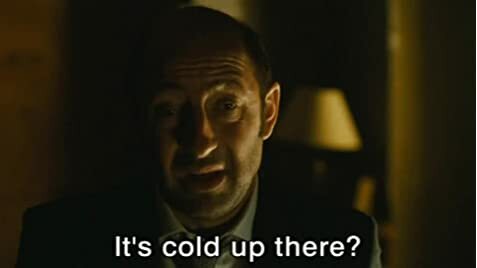 It is an excellent comedy with the two great actors Dany Boon and Kad Merad but the movie has also its philosophical, dramatical and sad parts. This movie is extremely funny, it is really difficult to make me laugh but this film made me laugh really hard several times. The best examples are when the postman and his director are having some drinks with half of the town while they deliver the letters or the scenes in the old mining town of Bergues, This movie is extremely touching and emotional. When the excellent Kad Merad tells his new partners and friends about his lies and mistakes, you feel really sad and ashamed for him. The movie's finale is also very emotional and a perfect and really philosophical conclusion. But the real star of the movie is the whole region, the Nord-Pas-de-Calais, where this movie is settled. 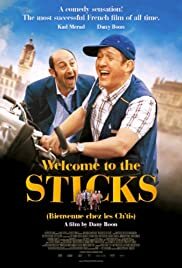 This film presents strange and funny accents of the Sticks, their historical and charming towns, their way of living and thinking, their relation to the other parts of France and the clichés and prejudices about both sides. The Nord-Pas-de-Calais is more than just a part of France, it is a country within a country and a culture within a culture. I have been in this region for some weeks during an exchange program and I can tell that those people living there are mostly open-minded, very sympathetic and have many reasons to be proud of their region. I really like this movie as it reminds me of a few very positive and unforgettable memories. And I like the movie because it is different and finally a French film that doesn't present us Paris over and over again. The France is way more than just Paris and there are many beautiful and unique regions and people to discover and this successful and charming movie shows this to all the people out there. For everyone that is interested in a touching, emotional and simply profound comedy movie or anyone that likes foreign cultures and lifestyles, this unique movie is an absolute masterpiece. I hope that other French regions will follow this example and make similar movies in the future and take the focus off Paris a little bit.